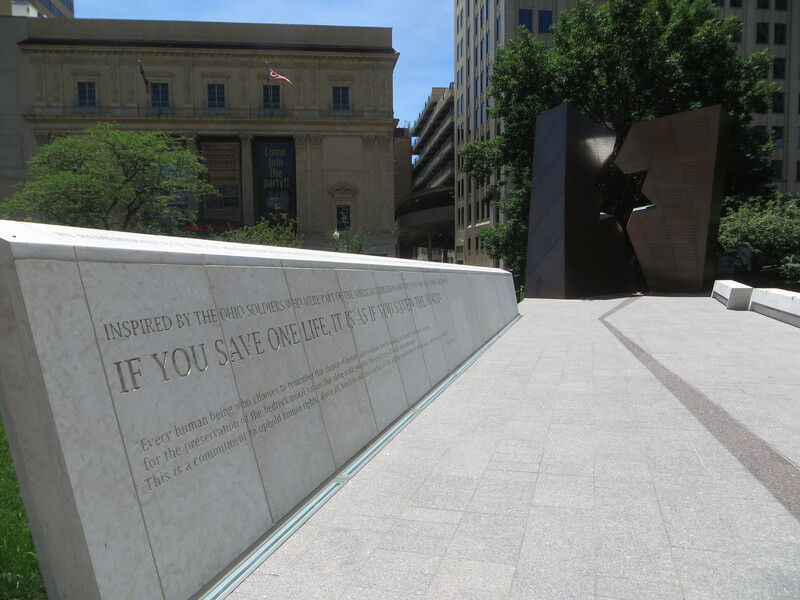 Earlier this month, the newest memorial on the Ohio Statehouse grounds was dedicated. 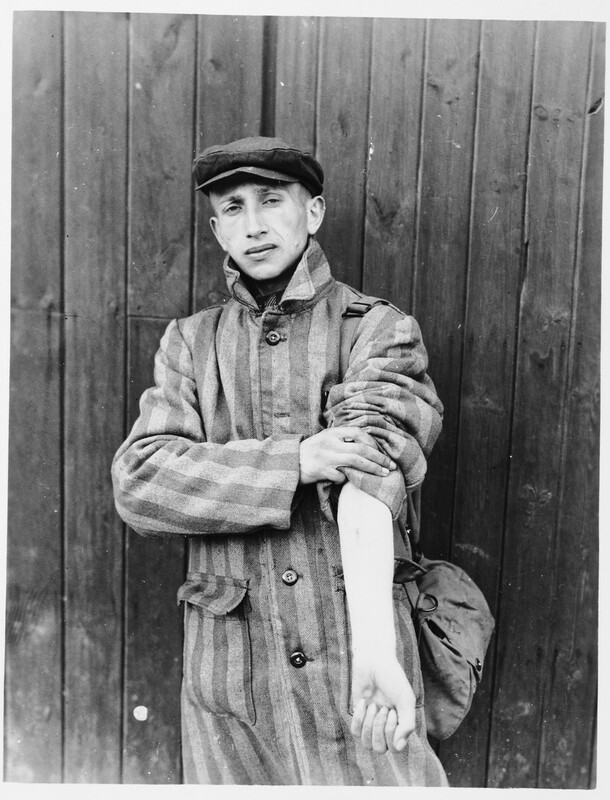 Located on the State Street side, it is a memorial to the millions who died during the Holocaust — and to the soldiers who helped to liberate them. 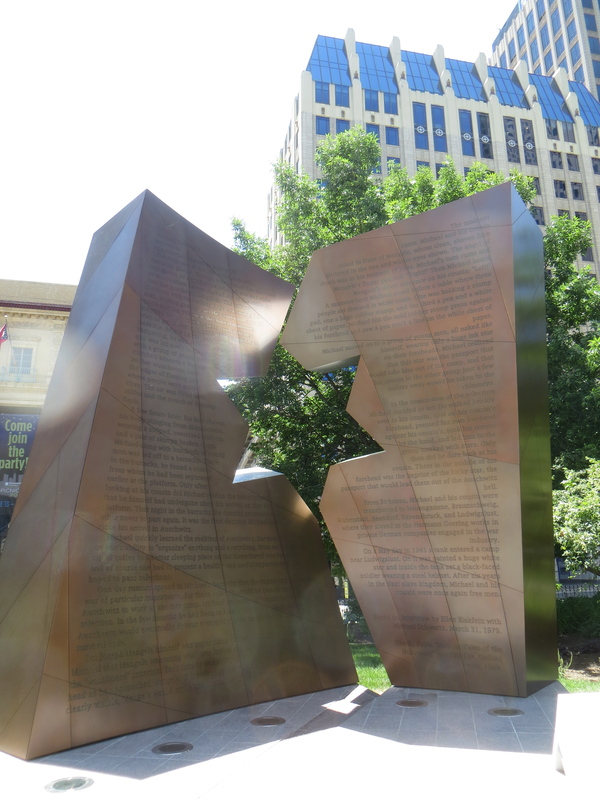 The holocaust memorial is a worthy addition to the wide array of public art on the Statehouse grounds. May we always be reminded, and may we never forget.